2020 Porsche 911 GT3 spy photos and details | Car News, Reviews, & Pricing for New & Used Cars. We’ve seen plenty of spy photos of the upcoming 2020 Porsche 911. The next-gen model will use the 992 chassis code and will be an evolution of the current 991 generation, much like the 997 was a heavily revised version of the Porsche 911 996. We don’t know when the new car will debut, but look for news sometime this upcoming auto show season. Today, we have a batch of spy photos of the upcoming Porsche 911 GT3. The new car doesn’t look decidedly different than the current GT3. It still has the basic 911 shape, with slightly wider hips in the rear to support the GT3’s wider track. This car is wearing the current car’s rear wheels and is fitted with carbon ceramic brakes. The most notable changes are in the front and rear. The front fenders now extend all the way down to sit flush with the front of the front cargo area. The front bumper has been revised with slightly more square intakes, similar to models like the Cayenne or refreshed Macan. Out back, the center-exit exhaust sits below a new taillight design that extends the width of the car, again like other current Porsches. 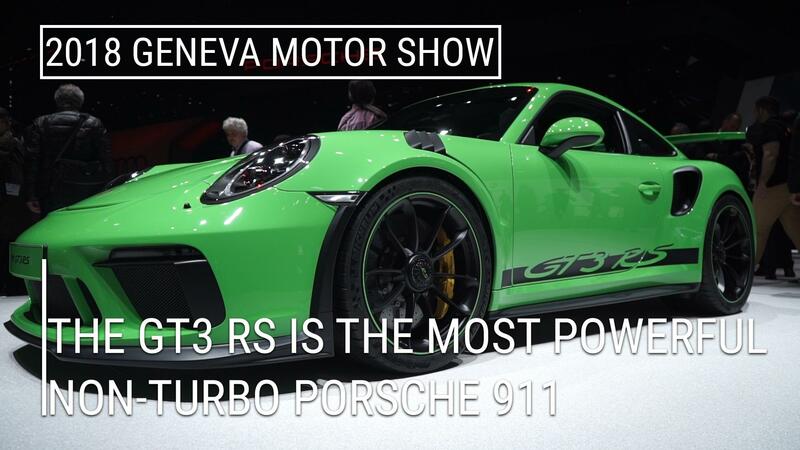 When we talked with Andreas Preuninger, the head of Porsche’s GT division, at the 2018 New York Auto Show, he revealed that Porsche plans to stick with naturally-aspirated engines in the GT3 for the foreseeable future. That’s fantastic news, as some of us on Autoblog‘s staff believe the current car’s 4.0-liter flat-six to be the best engine currently available in any new car. Expect the new model to offer both a dual-clutch automatic as well as a manual transmission, as the latter has been a huge success, especially here in the States.